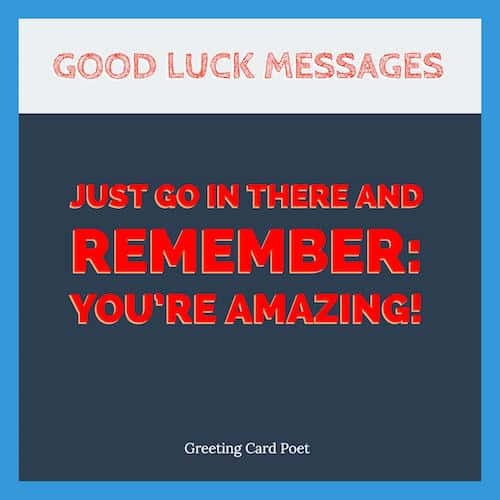 Good luck messages can be sent to anyone that you hope will have a pleasant outcome in a life event. It might mean a new job, a new city to live in, a new opportunity or something else. For our friends and family members, we want things to work out well. Expressions of good luck and confidence are generally always well received, but saying it with style can make a difference. Good Luck wishes or messages are always bright and positive that gives someone more confidence and boosts in him or her a great deal of positive energy. 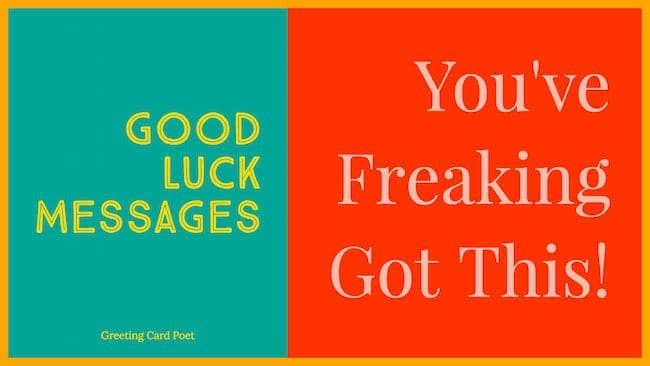 Here are a bunch of good luck wishes and messages to send to your friend, boss, love, your younger brother or sister on any special occasion. Starting a business is often, a triumph of heart and hard work over logic and practicality. Best wishes. Whether you have profits, whether you have losses – when you come home you will always have my hugs and kisses. Good luck for the business, says your Mrs.
May fortune and fame be yours in your new business venture. For enterprising business people like you, every obstacle presents a new opportunity to flourish. Good luck and continued success. As life gives you wings, always remember that no matter what you do and where you go, your parents are always here… looking out for you and wishing that all your dreams come true. The first day of college is like your first kiss. It will start before you even realize and by the time it ends you will have no idea how fast the time flied. 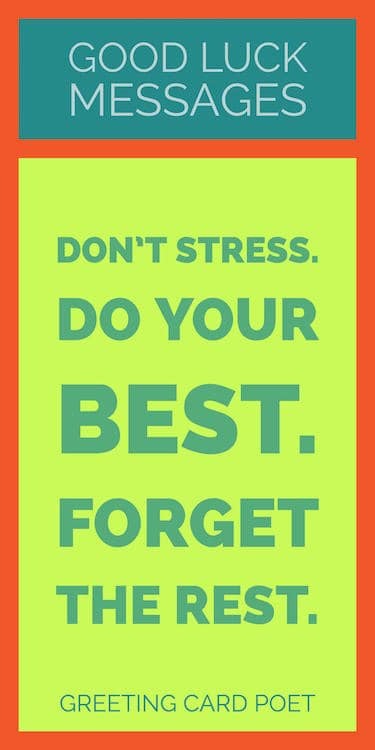 Good luck, you’ll do great! I hope you woke up well my dear. I wish you the best for this new dawn and that you do great at work. Please know that I love you very much and that I believe in you. My beloved prince, go forth and have a masterpiece day. You are an artist and your finest work is yet to come. Can’t tell you how much I love spending time with you. Enjoy your day. Work hard and you’ll come home to a very happy girlfriend. Congratulations can be sent to anyone who has some achievement like a job. Here are some congratulation messages you can send. You will never find out your real worth until you give life your best shot. Give work all you’ve got. You will find more success than you thought possible. Congratulations on your new job – they picked a winner! In life, you should always celebrate happy endings and new beginnings. Cheers to a gracious end at your old job and a promising beginning at your new one. Congratulations. Congratulations for your new job. Your new company is clearly showing signs of a new age with the addition of a superstar like you. It’s your destiny to excel at this new job. Your company is so fortunate to have made the right hiring decision. Congratulations! Good Luck messages are very heart-warming in general and can touch one’s heart. You can wish luck to someone without even any specific occasion. Every day is a gift. May your life bring you only pleasant and good things and you treasure every moment. Good luck. Just go in there and remember: You’re Amazing! Good luck and don’t dare give up. Wishing you all the good luck in the world! I hope good things happen for you. May good and inspiring thoughts come to you every time you need them the most. And, may all bad thoughts go away and never turn up anymore! Think positively and good luck! What a wonderful day to reach all your goals and make the most desired dreams come true! Good luck in all your endeavors. You’re on Good Luck Messages and Sayings page.